As you know I have a new toy in the studio. Yes, I finally have a long-arm quilting machine. Yay! I've been wanting (lusting for) a long-arm machine for years now and I finally bought one. I purchased a Handi Quilter Infinity. It has a 26" inch throat, which translates into about 20" of quilting space. Now I have no excuse for not finishing those quilt tops that have been languishing in bags and boxes in my studio. While I don't make New Year's resolutions, 2016 will be the year to learn how to quilt on my new long-arm machine. I'm itching to use this machine and to help me out, I'm watching Craftsy classes that I've purchased. I knew that the day would come when I could put this knowledge to use on my own long-arm quilting machine. Some of these classes are done on a domestic sewing machine, but the designs translate well for use on a long-arm quilting machine too. A New Look at Long-Arm Quilting with Mandy Leins - In this FREE class, Mandy explains some of the essentials of long-arm quilting and gives you some simple designs to help you gain confidence for the new long-arm quilter. I like the information that she provides regarding user comfort when working on a long-arm machine. Machine Quilting Negative Space with Angela Walters – Angela shows you lots of free motion designs on a long-arm quilting machine. She also explains how to combine the various designs and alter their sizes to create interest. Free-Motion Quilting with Feathers with Angela Walters – Working on a domestic sewing machine, Angela shows you how to create interesting feather motifs. She also shows you how to insert these designs in borders and blocks. Angela makes it easy to create unique feathers motifs in your quilts. Divide & Conquer: Creative Quilting for Any Space with Lori Kennedy – I've followed Lori's blog for years and was thrilled when I saw she had a Craftsy class. As in her blogposts, Lori shows you a variety of motifs that can be adapted to the desired place on your quilt. Orange Peel, ribbons, leaves, flowers, sailboats and more, you'll learn how to create all these designs and many more. 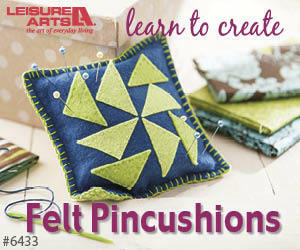 This is a great class if you're looking for motifs to add to your quilt designs. I'm sure you've heard of Leah Day's Free Motion Quilting Project where she created a new quilting design each day for a year (and continues to add new designs). In these two classes Leah shares some of these designs and has lots of helpful tips and information about machine quilting. Using her domestic machine (the same Janome I currently own), Leah walks you through each motif describing how to create these designs successfully. Cindy Needham creates amazing wholecloth quilts and quilts using vintage linens – something I love to collect. Both of these classes show you Cindy's approach to quilting on her domestic machine and include many quilting motifs. Cindy uses stencils as well as free-motion designs to create her amazing works of art. If you're an intermediate to advanced quilter, you'll learn to create beautiful art pieces in these classes. This may seem like a lot of classes, but I find different and helpful information in each one of them. I like to take multiple classes from the same instructor – it almost feels like they're a friend helping me with my quilting. If you're looking for classes to help you in your quilting adventure, I highly recommend any of these Craftsy classes. Enrol and start learning today! I have a new toy in the studio and it's huge! This Christmas I treated myself to a long arm quilting machine: the Handi Quilter Infinity with the Gallery frame. Just a few of the boxes that contained the Infinity 26 machine and Gallery frame. I hadn't intended to buy the Infinity: I was actually considering purchasing its little brother, the Fusion 24, however the package deal that My Sewing Room in Calgary offered me was too good to resist. Thanks, Anne and Lea! Thanks goodness Teeka was guarding the Infinity machine head. I've been wanting a long arm machine ever since I sold my mid-arm machine, however with the renovations and updates to my studio, there just wasn't room for this large a machine. After measuring once, twice and three times, I finally figured out how I could fit this into my existing studio space: I couldn't! Thanks to suggestions from my quilting buddy, Lee of Lala's Lovelys Quilting, I made some changes to other rooms in our house. With the addition of two chairs, a new tv and a rearrangement of our computer area, the main floor family room became the main tv area. I took over the family tv area in the basement (the original tv still remains so I can watch my quilting and exercise videos) and managed to squeeze the Infinity into this adjoining area. I couldn't fit the 12 foot table assembly into this area either, but fortunately the table comes in sections, so I set the Gallery frame up at an 8 foot length, which should be adequate for the size of quilts I make. Teeka was very anxious for me to open up the largest box. I haven't had much time to play with the Infinity yet, but with the holidays now over and the house back to normal, I intend to spend time bonding with my new toy. I'm thrilled with the features on this machine and its excellent stitch quality. I can hardly wait to start quilting those quilt tops that have been languishing in drawers and boxes and will keep you updated on my progress. You can watch the video below to see how easy it was to assembly the frame for the Infinity or watch the video on my Youtube channel. You'll notice that I had some help in setting it up - thanks, Teeka and Charlie! Wish me luck as I learn all about my new Handi Quilter Infinity.